I have watched this little, small, madness of mine take wing and become the daily habit of thousands of dance maniacs around the world. How strange and wonderful that a bee-in-my bonnet that stung me in New York twelve years ago could morph from one book, a second edition and finally into its current avatar in cyberspace! When NARTHAKI was published in 1992, it received a rapturous response and came to be called the "Bible" of Indian dance. The second edition in 1997 was welcomed for the continuity it provided. NARTHAKI went online in April 2000 and can be regarded as the third edition. Technology has truly become a friend of the Arts. The constant mobility that confronts artistes of today makes it necessary for quick and regular updates in NARTHAKI and the print medium cannot keep up with constantly altering details. The net is the perfect solution, instantly capable of recording movement / growth / new dimension and offering the ideal connection. We have relished going techno-savvy, building bridges with new friends, countries and proposals. The way this medium has taken a giant hold of our lives is quite exciting and forced us to acknowledge that we are on a common journey of creative enterprise - we can reach out and share as fast as we can get or give, we cannot be left behind. In the last year, we have seen visitors to the site jump significantly to the now monthly average of nearly 5,00,000 hits. We are honored to be able to share this site with our dance network around the globe. We hope you feel this way too. Anita Ratnam trained in Bharatanatyam under Adyar K Lakshman (1969 – 1978), and further strengthened her dance vocabulary at Kalakshetra, Chennai (1974 – 1976), under S Sarada and Sarada Hoffman. Trained also in the Kerala dance-theatre traditions of Mohiniattam and Kathakali (1968 – 1978), Anita as a performer and choreographer, embraces both the traditional and contemporary streams of Indian dance to extend the frontiers of her art. A Master’s in Theatre and Television from the University of New Orleans, USA 1977 – 1979), she enjoyed a successful ten year tenure from 1981-1990 as an award winning television producer in New York. Returning to India, she created Arangham Trust (1992), a performing arts foundation in her hometown of Chennai. Anita Ratnam is the Artistic Director of Arangham Dance Theatre, the director of Arts Alert - the research and documentation arm of Arangham and an active board member on many Indian and international dance and theatre companies. Firmly rooted in the traditional perimeters of Indian dance and theatre, Ratnam remains open to international perspectives and trans-cultural collaborations with sculptors, painters, writers, directors, poets and musicians. She co-produces and is the Co-Artistic Director of India’s only annual avant-garde arts event in Chennai, The Other Festival (1998), which takes place every year from December 1 – 7 in Chennai. 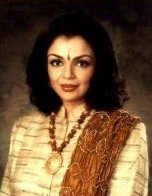 Anita Ratnam conceived, edited and published two best selling editions of Narthaki (1992 & 1997) - the directory of classical Indian dances. Narthaki went online in April 2000 as www.narthaki.com and has become an essential networking tool for the dance community. A Fine Arts graduate from the Stella Maris College, Chennai, Lalitha Venkat started her career as a textile designer. She joined Arangham in 1995 as program coordinator and manager of the Arangham Dance Troupe. She was project director of the second edition of Narthaki dance directory (1997) and became the content editor of narthaki.com once it went online. She was Associate Editor for the books Nirmalam: The genius of S Sarada (Arangham Trust, 2005), Sankara Menon Purushottaman (Tapasya Kala Sampradaya, 2007), Krishnaveni of Kalakshetra (Krishnanjali Trust, 2011), compiled and edited handbook Did U Know for Arangham Trust (Dec 2014). She coordinated 5 editions of Natya Darshan seminar from 2011-2015. She likes traveling, photography and painting. Sumathi is a B.Sc., Applied Sciences graduate (Anna University) with a M.A in Public Administration (Madras University). With a multimedia training at Edit Institute, in the field of graphics & animation she started working as a web designer. 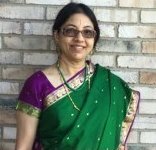 Sumathi started her own company, Saigan Connection in 1997 and is now actively involved in designing & hosting web initiatives for diverse interest groups.